OKNA windows manufactures energy efficient windows that rely on solid technology to produce product lines that easily qualify as Energy Star windows. This manufacturer creates custom-made vinyl windows that enjoy very good online reviews — for additional information, refer to our page on OKNA windows reviews. OKNA is a partnership of two successful general contractors from New York who decided in 1994 to began manufacturing windows and doors. The factory is located in Bucks County, Pennsylvania where, in 2008, they expanded into a 25,000 sq. ft. facility. The company stated goals are to create quality and energy efficient windows and doors, along with excellent customer satisfation. The company sells through distributors and dealers across the east coast and now beyond this region. They produce windows that are at the high end of the spectrum for prices for vinyl frames. Homeowners can expect to spend anywhere from $500 to $850 installed. To see more detailed pricing on specific product lines from actual past customers, please refer to our OKNA window prices page. Their entry level vinyl window that still maintains high-quality craftsmanship. The Insul-Tec is the most popular of their replacement lines with a traditional look to the window. Insul-Tec single hung windows is a replacement that focuses on clean lines and good craftsmanship at a reasonable price. The Enviro-Star their high-end replacement that provides an old world look and maximum energy efficiency. 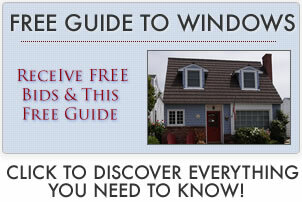 Their new construction single hung window that is a popular entry level product. Their new construction double hung window that is similarly priced and constructed, but with the added convenience of both sashes being operable. Their new construction basement window that is made on a broad, fully injected vinyl frame. This wide bod frame allows for easy installation in a typical basement set up.